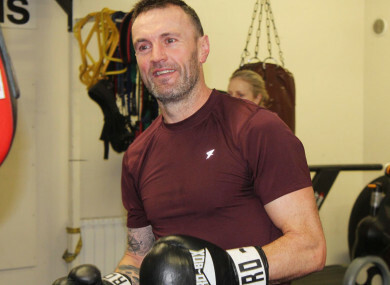 GARDAÍ HAVE CONDUCTED an in-depth search of the Bray Boxing Club where one man was murdered and two people were injured in a bid to find a motive for the shooting. Gardaí believe that Pete Taylor was the target of the attack but are currently trying to find a motive. The 57-year-old sustained injuries to his arm and chest. He has had surgery and is expected to make a full recovery. Members of An Garda Síochana were seen entering the boxing club with heavy-duty tools in the last 24 hours. It is understood they were searching for anything which might indicate a motive for the attack. Gardaí are also attempting to establish how many shots were fired in the attack by the lone gunman. A north Wicklow drug dealer is the prime suspect for ordering the attack. Gardaí believe the gunman was not a professional hitman and instead was more likely someone who owed the drug dealer a debt. The fact that the getaway vehicle was found in perfect condition is a big red flag to gardaí. Usually, in more planned killings, the car is found burned out. There is no suggestion Pete Taylor is involved in any form of criminality. The gunman also killed an innocent man and injured another innocent bystander. Gardaí suspect the killer to have been high on drugs when he carried out the attack. Fifty-year-old grandfather Bobby Messett was shot dead when he answered a knock at the door of the gym shortly before 7am on Tuesday morning. Yesterday, the gym paid tribute to him. Email “Gardaí conduct in-depth search of Bray Boxing Club as they search for motive for triple shooting”. Feedback on “Gardaí conduct in-depth search of Bray Boxing Club as they search for motive for triple shooting”.